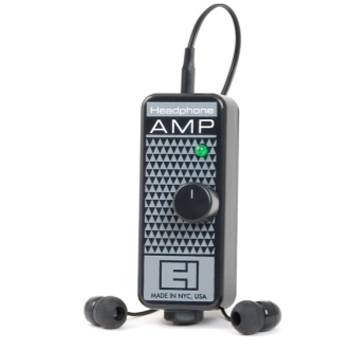 The go anywhere Headphone Amp delivers a musical quality and attitude that defines the spirit of Electro-Harmonix. As uniquely musical as it is portable, the ultra-light Headphone Amp let’s you practice as loud or funky as you want without waking up your old lady. Batteries Included. Headphones are not included.